For some athletes conditioning goes beyond the physical. Sport becomes an addiction that consumes their life. Participating is, as a result, virtually impossible to condemn to past tense, despite the body inevitably screaming to the contrary. For that reason once great performers are reduced to bit-part players or nostalgia acts, steadfastly unwilling or unable to accept graceful retirement. Kureen takes a look at a few of the most extreme cases. 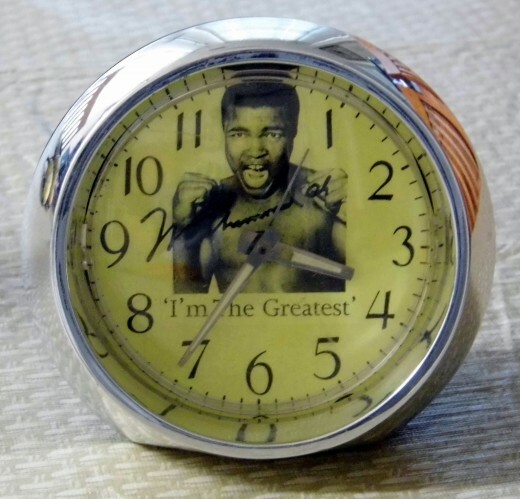 Tick Tock: Ali’s need for money meant that he continued long after he was fit for the ring. 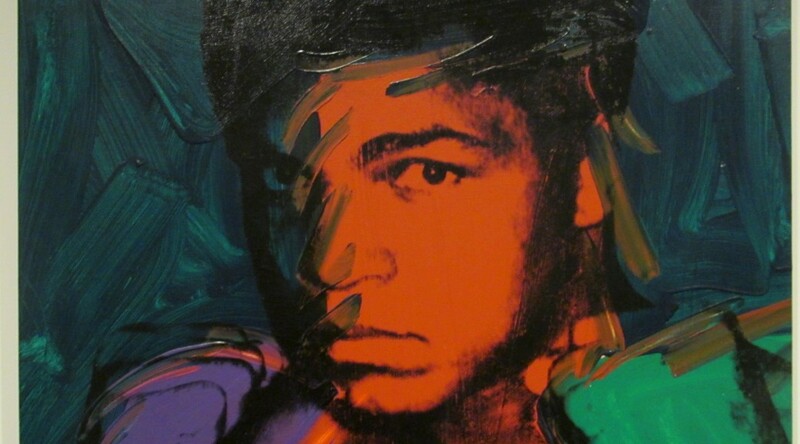 Muhammed Ali, the self proclaimed ‘greatest,’ was a superstar both between the ropes and with microphone in hand. Dancing upon his canvas, the artist formerly known as Cassius Clay announced his arrival on the boxing scene in 1964 with a shocking seventh round disposal of reigning World Heavyweight champion Sonny Liston when aged just 22. A legendary trilogy against Joe Frasier and host of other in-ring battles left Ali physically drained and by the late 1970’s the onset of Parkinson’s Disease was clear for all to see. Tragically the once great warrior’s hard earned funds had been severely depleted by a myriad of hangers-on, ensuring that he was at the mercy of devious promoters such as Don King, eager to wheel him out for a couple more fights – it was in late 1981 that Ali fought for the conclusive time, a glorified punching bag at the hands of Trevor Berbick. Rush Job: Newcastle United and Wrexham signed the striker to diminishing effect. By the mid-1990’s Liverpool FC realised that it was time to put their faith in the bright young forward combination of Robbie Fowler and Stan Collymore, thus allowing club legend Ian Rush to join Leeds United on a free transfer at age 34. After a so-so season, an increasingly desperate Kenny Dalglish snapped up Rush for Champions League competing Newcastle United as a hasty replacement for the injured Alan Shearer and jettisoned Les Ferdinand. What followed were a couple of domestic cup goals and some of the most leaden-footed displays ever witnessed at St James’ Park. Amazingly, lower league Wrexham took a punt on the Welshman in 1998, but 24 goalless appearances were enough to make them realise their mistake. Indian Summer: Gooch was guilty of one tour too many. Graham Gooch’s Test Match career was a strange one. 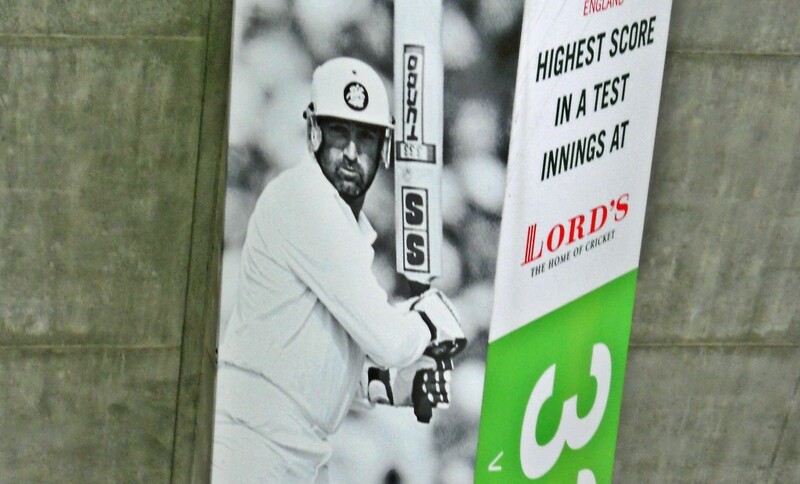 Initially struggling to a batting average in the low 30’s, he suddenly reached a zenith between 1990-93 when aged almost 40, including a remarkable knock of 333 against India at Lords. Relinquishing the captaincy in 1993, Gooch looked to have called time on his international career after another successful personal duel with Australia, averaging around 60 and smashing a couple of memorable tons. That should have been that, only for the powerful opener to return to the international fold a year later with mixed results in home series against New Zealand and South Africa. Later that year, aged 41, Gooch was selected for and accepted one more crack at the Ashes down under. An average of 24 and several soft dismissals later he probably wishes he hadn’t bothered. 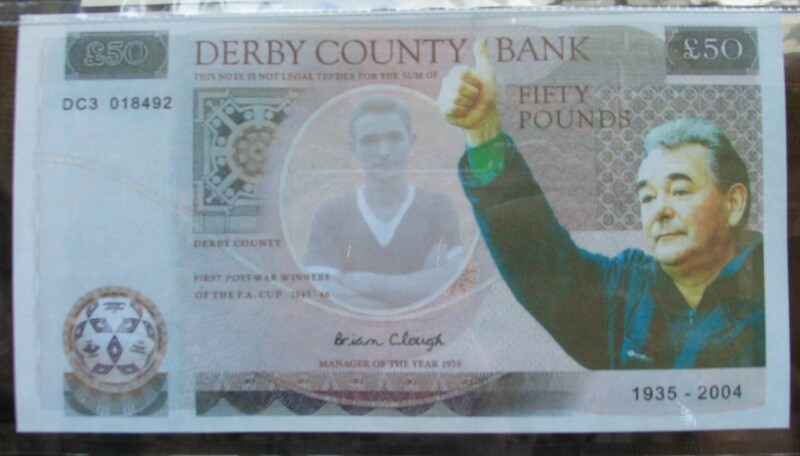 “I’m not the best manager in the league, but I am in the top one.” B.Clough. The special one long before Jose Mourinho hit the scene, Brian Clough was a tough-talking, ultra confident manager who completely turned around the fortunes of struggling Hartlepool United, Derby County and Nottingham Forest. It was with the latter that “old big ‘ead” won two consecutive European Cups, eking every drop of sweat from a collection of hitherto unheralded players. A fondness for alcohol dominated his later years, rendering him a slurring mess at times. Such was the esteem that the great man was held in at Forest that his staff and players covered for training ground absences that grew increasingly regular, although a final season relegation in 1991-92 was disappointingly inevitable climax to well over a decade of trophy-laden success. Nancy Lieberman, known as “Lady Magic”, is considered one of the finest female basketball players of all-time, with a WBL career that spanned almost 20 years. Finally calling time after extending her record as the oldest player to ever represent the league a few months short of her 40th birthday in the colours of Phoenix Mercury, Lieberan became a coach and analyst over the course of the next ten years. Infeasibly she returned to competitive action at the age of 50, signing a short term contract with Detroit Shock. Those who witnessed her time on court during this period described it as a once great stallion whose lungs were full of sawdust, as the comeback descended into a poorly judged publicity stunt. The stats say it all when you view Ian Botham’s England career. During his first 51 Tests matches ‘Beefy’ averaged around 39 with the bat and just 23 with the ball, putting him amongst the greatest all-round players of all time. Thereafter a series of postural issues and resultant weight gain meant that he was often selected based on reputation rather than any great on-field contributions. 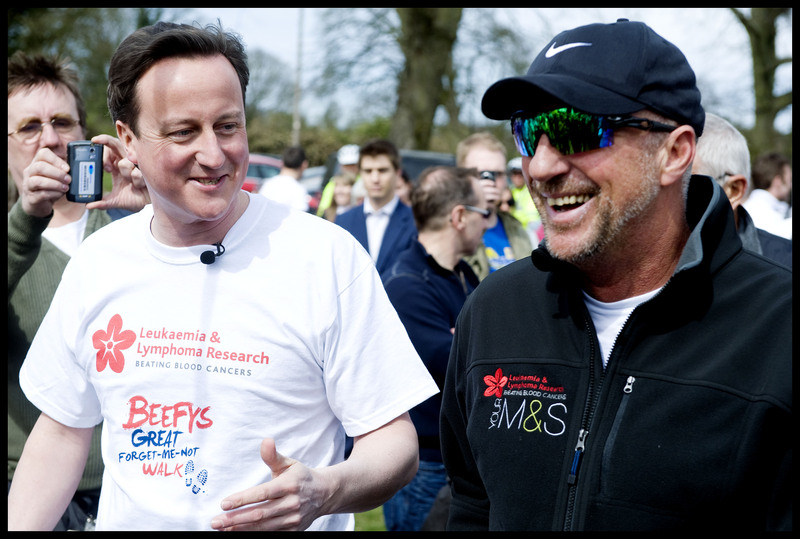 In his final 51 matches Botham averaged a meagre 28 with the bat and over 36 with the ball. In hindsight he should probably have called it a day after smashing one final pulsating century against Australia in 1986-87, as England regained the Ashes. 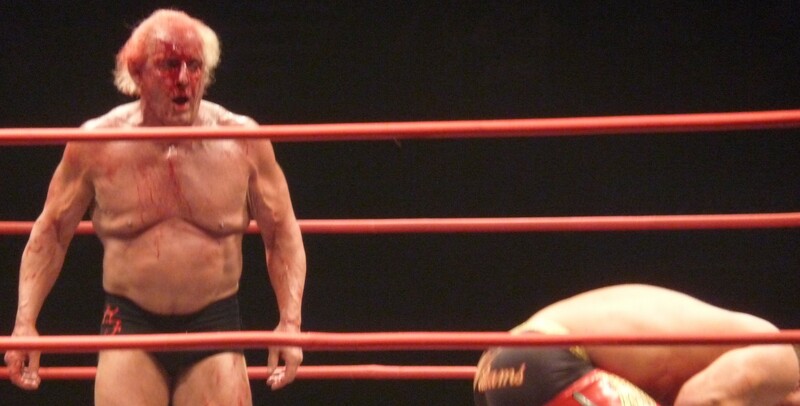 Woooo: Flair’s once chiselled physique is now a victim of gravity. 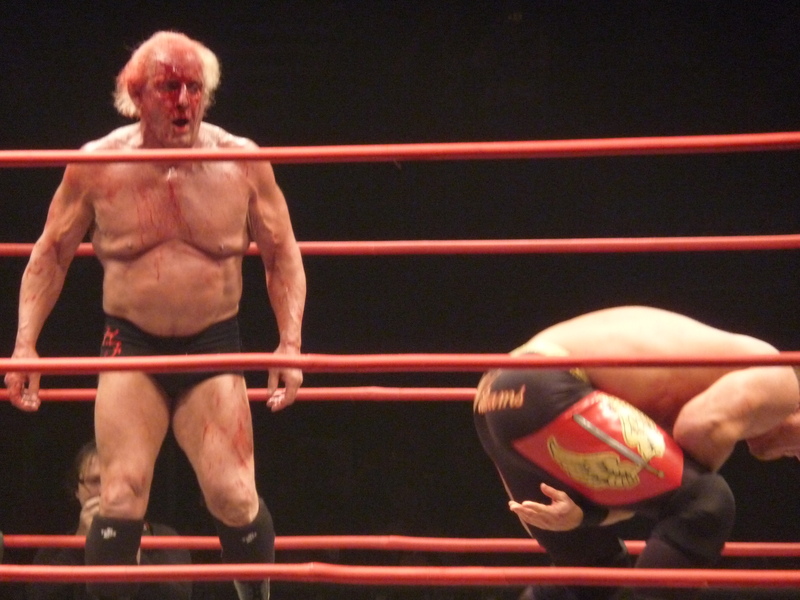 An 18-time world wrestling champion (not 16 as WWE would have you believe), Ric Flair defied the odds by actively competing until the age of 59, when he was defeated in a stellar ‘retirement’ match against great friend Shawn Michaels at Wrestlemania XXIV. Despite that perfect send-off, the legend was unable to stick to his word and joined Total Non-stop Action (TNA) wrestling, where he continued to bleed profusely and go through his increasingly loathsome comedy routine for the next couple of years, unable to step from the spotlight due to a massive ego and continued lifestyle beyond his means. 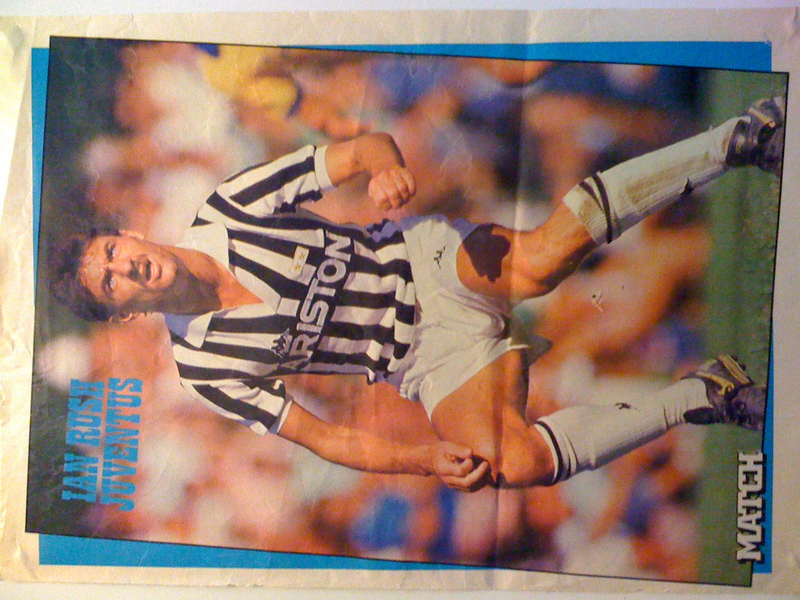 Gazza: Booze-fuelled lifestyle and on-field stupidity halted his greatness. From 1989-91 Paul Gascoigne was regarded as one British football’s brightest lights, having shone for Spurs during the 1989-90 and 1990-91 First Division campaigns and captivating a worldwide audience with dazzling displays and no shortage of tears at the 1990 World Cup in Italy. Two reckless challenges in the 1991 FA Cup final against Nottingham Forest ruptured ligaments in Gazza’s right knee, temporarily scuppering a world record £8.5m move to Lazio. When the deal was done a year later for half of that fee it was clear that a yard of pace had been left on the operating table. Thereafter brief highlights such as Euro ’96 were punctuated by a battle with alcoholism and depression, something which continues to dictate the terms of the troubled Geordie’s existence. Unable to distance himself from the game he loves, nor articulate or reliable enough to find a job as a pundit or coach, the man who once had the world at his feet has recently joined a fourth division Sunday League team at age 47 to fill the void. Who did we miss? Who would you have liked to have seen on the list? Leave a comment in the section below and let us know!